I had a few extra minutes this morning, and as usual, my mind began to wander. As I dipped one of the last remaining Christmas cookies into my hot mug of coffee, I started to think about how the tradition of holiday cookies came about and which varieties were most popular. Of course, being the curious creature that I am, I decided to do some investigating on the web. Did you know that, according to Wikipedia.org, the history of Christmas cookies can be traced back as far as Medieval Europe and the recipes that were used to make flavorful biscuits? By the 16th century, modern ingredients including cinnamon, almonds, dried fruits, ginger and black pepper became increasingly popular throughout the west and Christmas biscuits like lebcuchen, pepparkakor and krumkake were introduced throughout Europe. In the early 17th century, the Dutch introduced Christmas cookies to the United States, and changes in importation laws made a wide variety of inexpensive products like cookie cutters available to Americans. In the beginning, these cookie cutters offered extremely detailed replications of Christmas symbols that were designed to hang from Christmas trees. As their popularity grew, numerous recipes emerged that were specifically designed to be used with cookie cutters. By the early 20th century, decorated cookies were being imported into the United States from Germany to be given as Christmas gifts. These days, Christmas cookies are often cut into shapes like candy canes, snowmen, Christmas trees, bells and a wide variety of other festive shapes. 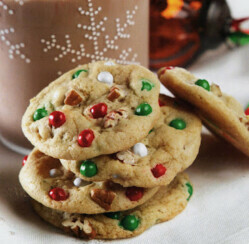 Many holiday cookies are presented as gifts during the Christmas season, while others continue to be used as decorations for Christmas trees. Since the 1930’s, children throughout the United States and various other countries have left holiday cookies out for Santa Claus on Christmas Eve. 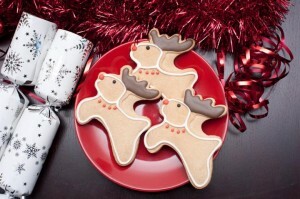 There is a wide variety of creative Christmas cookies available throughout the world these days, but some of the oldest recipes continue to remain popular with consumers. Gingerbread cookies were made popular as holiday cookies when Queen Victoria and Prince Albert chose to include them with other holiday traditions in Germany. In addition to the popular gingerbread men, we often see gingerbread houses and other unique creations made from gingerbread during the holiday season. Krumkake originated in Norway centuries ago, and remain a popular holiday treat today. They are wafer thin cookies that are shaped into cones and sometimes sprinkled with powdered sugar. Sugar cookies are likely one of the most popular holiday cookies in the United States, and there versatility just might be why. They can be baked to remain chewy or become crispy, and can be enjoyed plain, decorated with frosting or covered in colorful sugars. 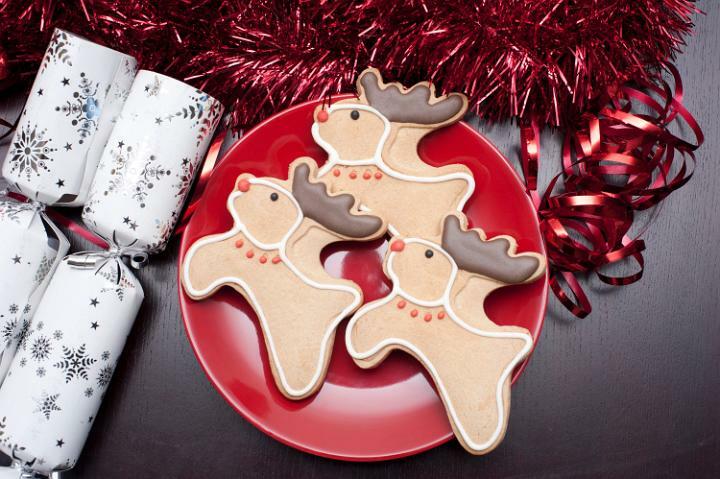 What types of Christmas cookies do you and your family enjoy? Do you prefer store bought cookies from your local grocer, cookies from a talented bakery, or do you and your loved ones make your own? If you have a favorite holiday cookie recipe that is unique or extra special, tell us about it in the comments section below!